Download the FREE Helms Bros. mobile app from the Apple App Store or Android Market NOW! 1. 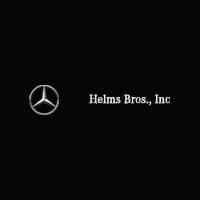 Search & Shop the Helms Bros. new and used inventory on the fly wherever you go. 2. 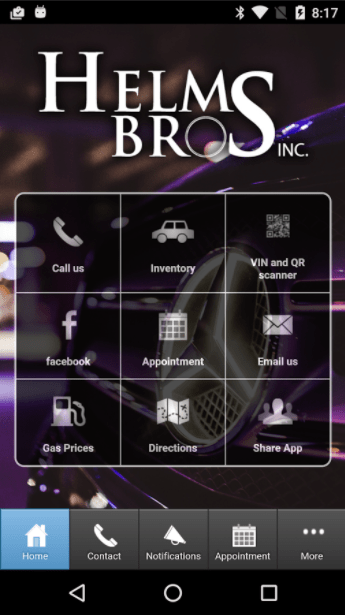 Set up appointments for your next service visit directly through your smartphone. 3. Stay connected with news, updates, and notifications from Helms Bros. as well as through social media. 4. GPS-enabled driving directions show the turn-by-turn way to our door from wherever you are. 5. One-touch calling to contact us with one click – no scrolling through address books or contact lists and no searching the Internet for our number. One-Touch Calling keeps us in the palm of your hands.